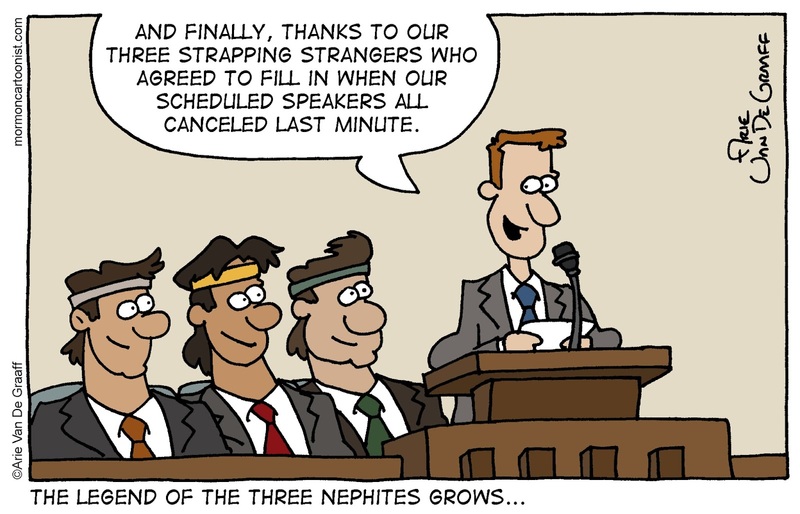 Ward Cartoonist: The Three Nephites! Warning: this story is long and meandering and might not be worth your time. I won't be offended if you just read the above gag and skip everything below. 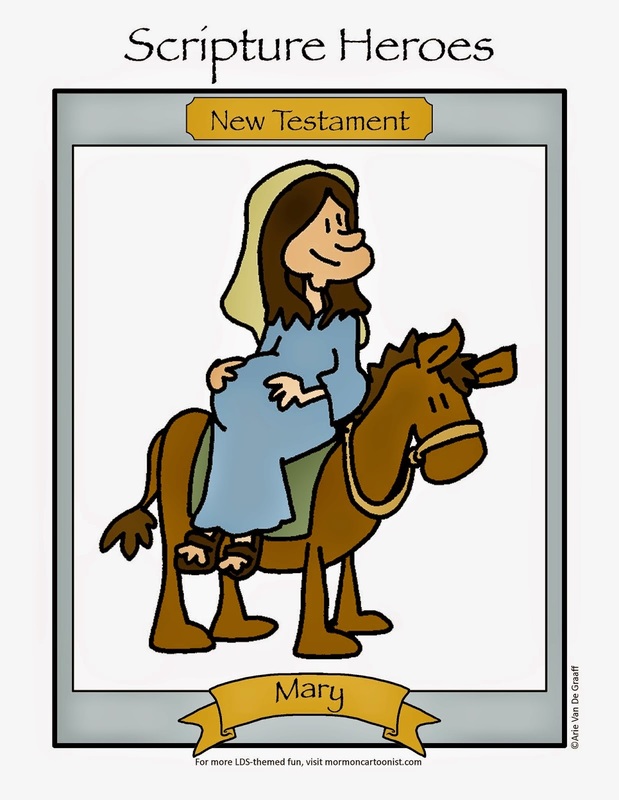 A couple of months ago, we had a sacrament meeting in our ward where our speakers nearly didn't show up. The bishop was responsible for coordinating sacrament meeting that month and the date he told the member of the High Council to speak wasn't the date he had in his mind that he asked the member of the High Council to speak. As a result, there was no one on the stand throughout the sacrament. Fortunately, a member in the congregation knew one of the visitors from the stake scheduled to speak that Sunday. She texted him and before the end of the youth speaker's talk, he rushed onto the stand and saved the ward from a 40-minute sermon from an unprepared bishop. The stake visitor, long on the speaking circuit, was able to deliver a wonderful message and provided the bishopric enough time to get their wits together in order to fill the rest of the time. 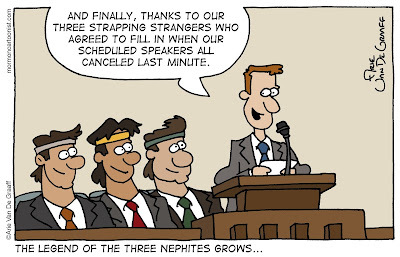 During the white-knuckle half hour when it looked like no one was going to show up, I wished more than once that the Three Nephites would heroically walk into the chapel and save the day. And while that didn't happen, those thoughts did inspire a pretty good gag. I wonder which bishop that was...? I know. What a fool, right?